Why are these branded as "improvements"? Because they don't seem to be. Okay, it does speed up 97/357 but at the cost of removing a major interchange stop. I think what they meant to say here is "meaning that passengers will now make use of the emergency door controls while the bus is waiting at the lights instead of having the driver open the door for them". Looks like Waltham Forest should be renamed Awful Forest because they seem happy to implement awful changes to do little to improve virtually anything. A Forest in which they certainly appear unable to see the wood for the trees, to put it at its most polite, which is probably undeserved. Anyone who is remotely familiar with bus usage in Walthamstow will know these changes are a disaster waiting to happen. The loss of the "arrival" bus lane and setting down point and it only being replaced by a tiny "turn right" filter lane means buses will block back across the junction all day long. This means people will be stuck on buses for 10-15 mins within centimetres of the entrance of the station. They'll go bezerk and rightly so. There are 4 sets of traffic lights in and around the town centre which are all time co-ordinated to ensure that the area doesn't gridlock. When they get out of synch the bus service falls to bits. I can't foresee how this revised junction layout and traffic light timings will work even with 23 bus movements per hour diverted away from the bus station. The other factor is buses arriving at the bus station. Presently the arrivals stop, near the entrance to the bus station, can get overloaded with vehicles even though some buses have lowish numbers alighting as they've got off at the other side of the road. 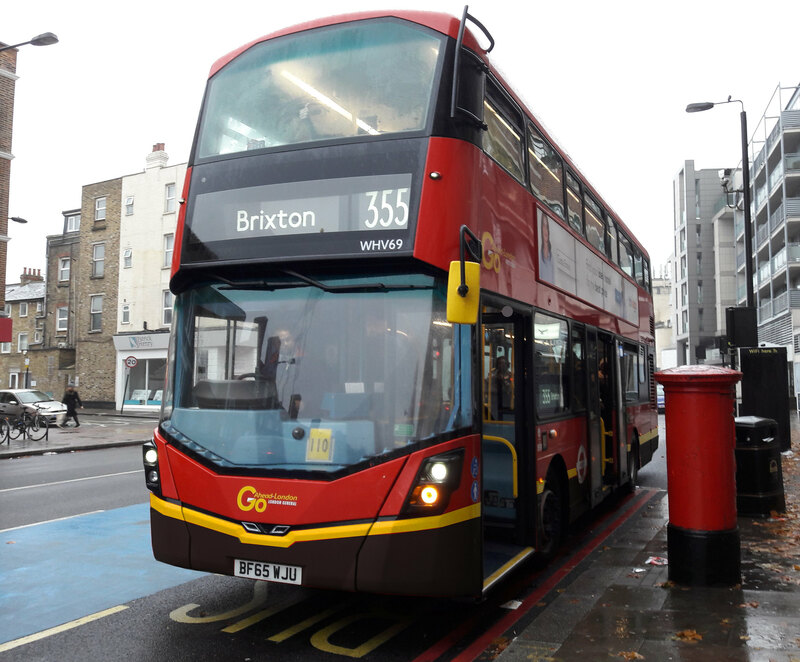 In future the dwell time at the bus station arrival stop will be vastly longer than now resulting in longer queues and buses potentially blocking back into Selborne Road. From both an operational and customer service viewpoint these proposals are disastrous. I am half minded to start a campaign to ensure the consultation response is 99% negative. As a fellow resident of LBWF I'm sick to death of em. I can walk faster now from Midland Road to Walthamstow Central, and don't even bother getting the bus anymore. And this proposal is another idiotic one. The other thing is that if buses drop off solely in the Bus Station the ticket gates at the Underground level probably wouldn't cope as there's only three (?) barriers down there. If several buses arrive at once, as they're prone to doing, it'll be very congested. And what a pain in the bum for people going towards Leyton. Half the service in the bus station, the other half on the bridge. That'll be unpleasant as well (sorry, just noticed you'd said that already Snoggle!). Time to copy and paste some 2 Unlimited lyrics as my answer "no no no no no no no there's no limit no no no no no" but leaving out the "there's no limit" bit. I've managed to write a very polite reply (yes really). Don't think I've ever written so much back on a TfL consultation. 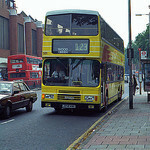 Why is the 257 shown as going down the full length of Selborne Road? I feel like no matter the response they get this is going ahead. Because ... shock horror ... TfL has made a mistake. Heaven forbid.